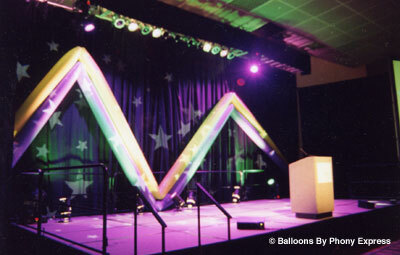 Four-Point foil star balloons form a stunning backdrop to a stage, illuminated by our colored spotlights. 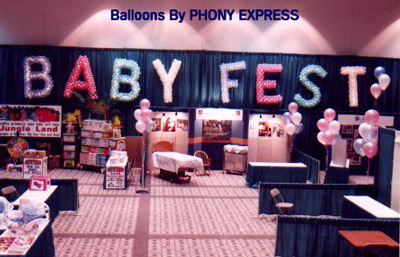 A backdrop of large, glowing balloon sculpted letters leaves no doubt about the name of this event. We are an approved vendor at the Columbus Convention Center, meeting all guidelines. 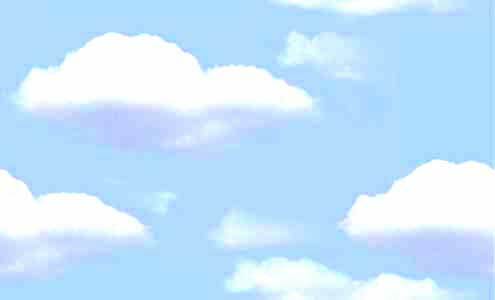 An Earth Day celebration featured stage decor of trees, flowers, rainbow and a custom painted 5 foot "earth" balloon, for a visit from a famous "purple dinosaur" to our local PBS TV station. This event was held at The Celeste Center at the Ohio Expo Center. 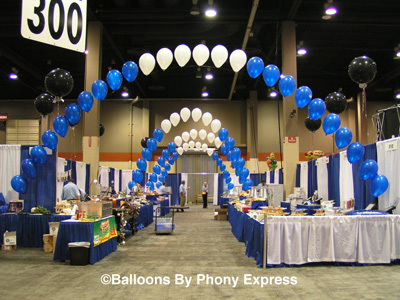 "Single balloon" arches span an aisle, tying together a vendor's multiple booths at the Veteran's Memorial Auditorium North Hall. 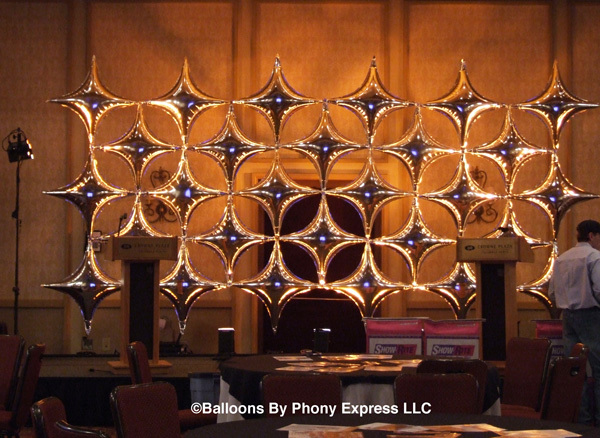 Dynamic "Tubular Balloons" combined with effects lighting create a dramatic stage backdrop.